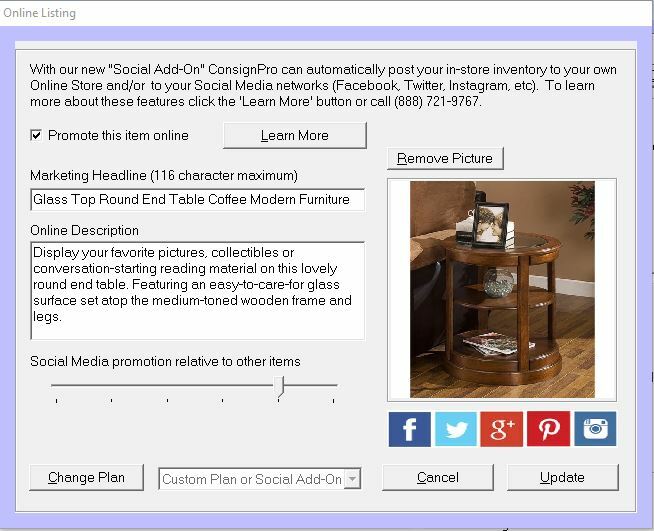 The newest release of our Online Store gives shop owners a great way to sell online, posting items to the store right from ConsignPro! With just a few extra clicks, your own Online Store will be filled with your inventory from ConsignPro! When adding items to ConsignPro, simply click the "Promote Online" button. A new online listing screen appears. You add a great narrative of the item and select a photo of the item from your hard drive (or upload a photo directly from your SmartPhone). At the end of the day, ConsignPro uses your Internet connection to move your online listings to your online store - all with the single a click of your mouse. The items are uploaded and online shoppers can purchase these items thru a secured shopping cart service - hosted by industry leader PayPal. The money appears in your PayPal account and your are notified so that the item can be shipped. Online shoppers make up a growing segment of resale shoppers, missing out on this trend will cost you money. You can link your store website to your online store giving shoppers a seamless experience when visiting your website. Your store is now open 24/7/365. Imagine making money while you sleep. Complete integration with ConsignPro. As you sell an item in ConsignPro, the online listing is automatically removed. 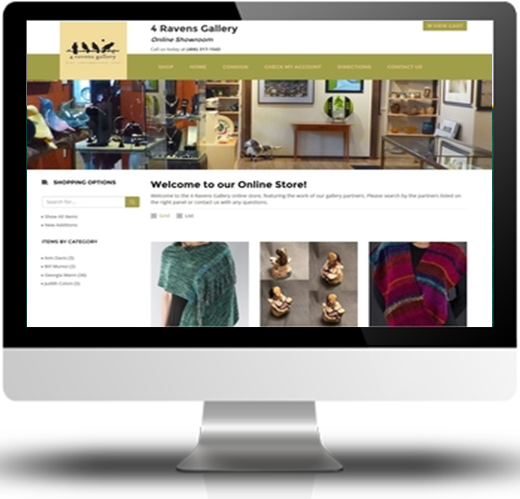 Our Online Store Builder is the first step to using our new Social Add-On and attracting new customer via Social Media! It's affordable - see below! List up to 50 items for only $19 / month. List up to 100 items for only $24 / month. List up to 200 items for only $29 / month. List up to 500 items for only $39 / month. List UNLIMITED items for only $59 / month. * A one-time $49 setup fee applies to all store sizes. * You can upgrade your Online Store size at anytime. A one-time $35 upgrade fee applies. * Add $10/month to any Plan and load inventory directly from your SmartPhone or tablet using our Remote Data Loader. A desire to sell more. Visit our secured order page and select the store size you’d like to order under “Web Services". We will e-mail you with instructions on how to configure ConsignPro to use our Online Store builder. More questions about online stores? Visit our new Online Store FAQ page!